With grants from the Minnesota Department of Human Services, 30 organizations across the state will soon provide additional services to homeless youth. Under contract with the department, the organizations will expand and develop additional services to fill needs in their communities, including street outreach, drop-in centers, emergency shelter, transitional living and supportive housing programs. Funding comes from a $4.2 million investment in the Homeless Youth Act made by Gov. 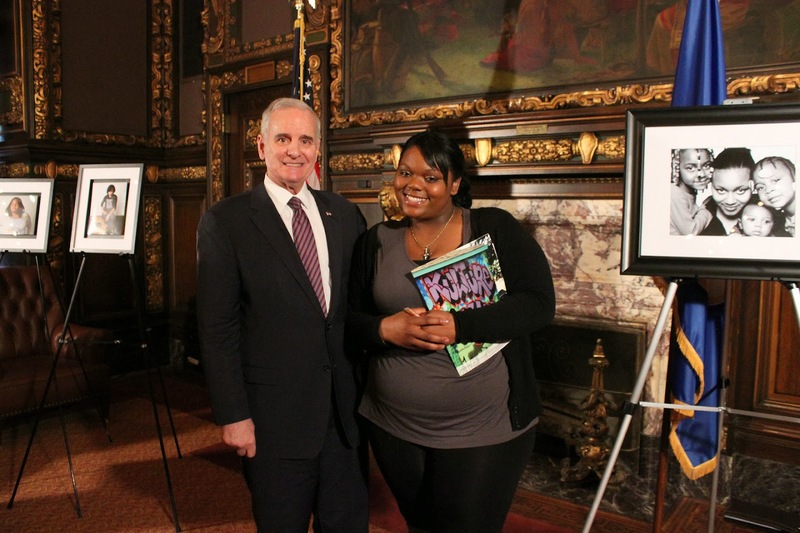 Mark Dayton and the Minnesota Legislature last year. With the additional resources, the state will be better able to fund a full continuum of programming, ranging from prevention to permanent housing, to serve young Minnesotans. Minnesota’s homeless population has grown by 6 percent since 2009, according to the 2012 Wilder Research study, Homelessness in Minnesota (PDF). On the night of the statewide count in October 2012, homeless Minnesotans numbered 10,214. Nearly half were youth age 21 and younger. More than 1,000 were youth on their own. KKC is partnering with artist Marcus Young, Health Care for the Homeless, and Somatic Therapist Thea Lee. Young will lead youth in a meditative dance practice that will be used as a tool in prompting Somatic Therapy techniques for interactions with Kulture Klub Collaborative and Health Care for the Homeless. Young’s artistic project coaches youth in a guided moving meditation through dancing to their favorite songs. Dozens of youth did this project in 2011 with great enthusiasm. Through the project, it became clear that a body-centered meditation triggered a good deal of trauma for youth. Using a Somatic Experience approach will give participants and practitioners a shared vocabulary to address this trauma. Stay tuned to www.kultureklub.org to keep up to date with our projects!